Seasonal sales – a great way to add a fashionable wardrobe at a significant discount. They started to come almost always in the middle of the season, so it makes sense to wait a bit and buy a vending thing a little later. 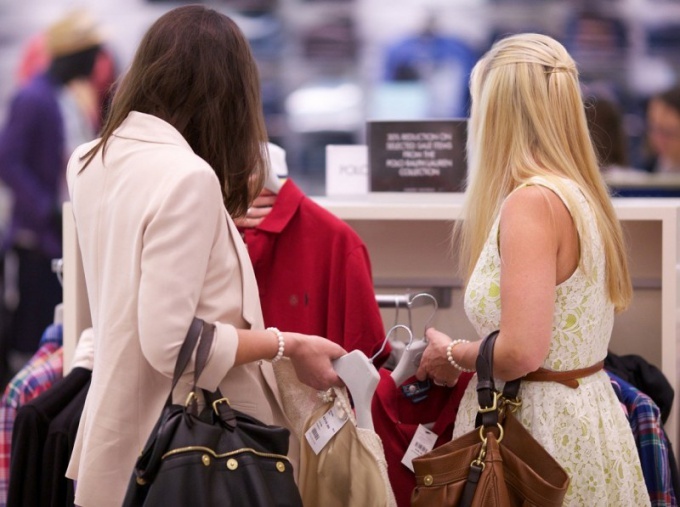 In late June – early July summer sales start in Moscow and the real shopaholics face a dilemma: whether to wait for the maximum Sidak or buying things is still the right size. The bulk of sales in Moscow begin in early July. The first small discount of 5-10%, but usually buyers are beginning to update your wardrobe at this time while the season is still in full swing and the range of goods is large, there is plenty to choose from. By the end of the sales season, which ends in late July – mid-August, the discounts can reach 70%, but the right size may not be. Going on the hunt for new and trendy clothes, remember that this process does not tolerate haste and bustle. Look closely at the price tags – sometimes on the counter with a sign "-50%" can hang things discount which is much less or not at all. In some stores, this technique is often used by sellers to sell more product. It would be a shame if your purchase is not so profitable as it seemed at first glance. The outlet is hot not only for buyers but also sellers. They are trying to force customers to fork out. If the window of the shop hangs an announcement that discounts 10-20% will last till a specific date, there is confidence that after this period, the sale will continue, and discounts will be increased. To force the buyer to buy something is the action and when two bought you a gift offer a third free. Often the result of participation in such stock becomes a bunch of useless and unnecessary things. Try to control yourself and not to succumb to these provocations. Many stores warn the buyers that return items purchased with significant discounts, will not be performed. Keep in mind that any item purchased on sale, can be returned to the store or exchanged in accordance with the law on protection of consumer rights. 'Sales indicating the start and end dates, value of the discount, you can always find on the Internet. Do not miss this opportunity to buy fashionable and high quality clothes and shoes at half price.